Dynamic Loisirs Surf Camp & Surf School opened in 1995 and has become over the years (thanks to our great team and faithfull clients) the no.1 surf camp in the region. 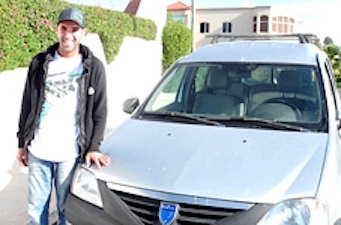 Known throughout the surfing industry as the place to stay if you are looking for a great quality house and good traditional Moroccan cuisine. Our team will go out of it's way to make your stay unforgettable. The success of our surf camp has only been made possible by our amazing team, working side by side to make your stay a memorable one from the moment you arrive. Founders of Dynamic Loisirs.. Here to make sure that everything runs smoothly. Philippe was born in Morocco and Vanessa came to Agadir in 1999, fell in love with the country and never left. Head Chef.. Fatima has been with us since the begining and knows exactly what a surfer needs on his plate to be happy. Hearty breakfasts, picnic lunches and a beautiful evening meal. 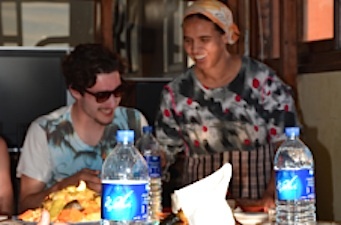 If your really nice, she might even tell you how she cooks her Traditional Morrocan Cuisine! 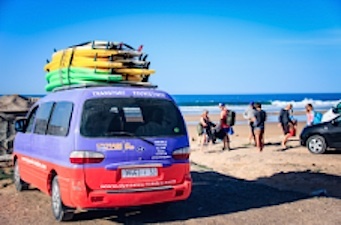 Our chauffeur will pick you up from the airport or bus station and bring you to our surf camp.. and then to the surf spots that working best during your stay. Our surf instructor will make sure you have a fun & safe time surfing. Whether you are a beginner or advanced surfer, you will get more than you ever imagined.